The Allen Deluxe 4-Bicycle Trunk Mounted Car Rack 104DB offers a way to take your bike with you whenever you travel. It fits easily on the back on sedans, hatchbacks, minivans and SUV's. This Allen 4-bike rack includes long 21 inch arms and a patented individual tie-down system that secures and protects your equipment while in transit. The Allen Deluxe 3-Bicycle Trunk Mounted Car Rack 104DB offers a way to take your bike with you whenever you travel. It fits easily on the back on sedans, hatchbacks, minivans and SUV's. This Allen 3-bike rack includes long 15 inch arms and a patented individual tie-down system that secures and protects your equipment while in transit. We are constantly developing well designed, easy to use products that are affordable. This is our mission, our passion and our business. Allen Sports, so simple, go ride! The Allen Sports model 522RR delivers capacity for up to two bicycles (up to 70 pound) and installs onto most standard Class I, II, III & IV 1 1/4 inch and 2 inch receiver hitches. The 522RR features easy assembly, folding carry arms, lift-gate access. 64 inch Silver Galvanized Traditional Bicycle Rack The SECURE STORAGE SOLUTION Series Storage Container/Trash Receptacle is easily strong enough to keep out the smaller critters like raccoons, squirrels and rats and will give great results with smaller Black Bears. To meet the requirements of being a Certified Bear Resistant bin you will need to install the included Bear Guard brackets, which prevent bears from being able to grab the lids and potentially bend them. With these brackets the GRIZZLY is able to stand up to all Black and mid-sized (up to 600 lbs.) Grizzly Bears. 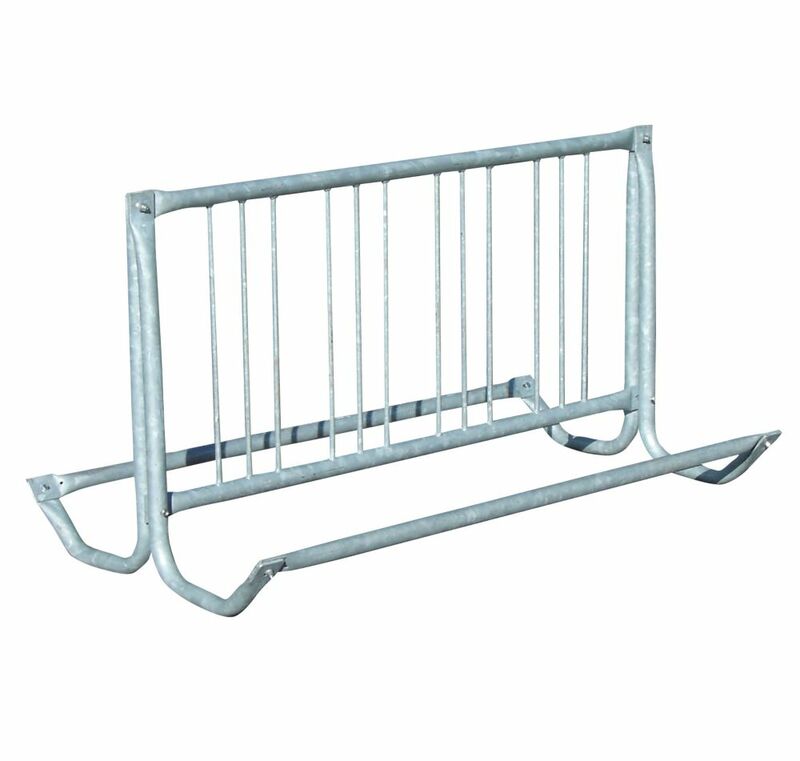 64 inch Silver Galvanized Traditional Bicycle Rack is rated 4.5 out of 5 by 2. Rated 5 out of 5 by RanchMan from This is a very high quality bicycle rack. ... This is a very high quality bicycle rack. Rated 4 out of 5 by Ed from Bicycle rack Easy to assemble. Very durable bicycle rack. It should last a lifetime.